In my ongoing effort to become a world famous author, songwriter and creator of content for children, I decided to write another song and figured you can’t lose with ladybugs. Everyone loves ladybugs and if you look at the number of published children’s books about our little spotted wing friends, writing about ladybugs is a sure thing. So please take a listen and let me know what you think. It’s a cute little song, soothing and melodic with a great denouement at the end. See that big word I just used there? Only world famous authors and songwriters can use big words like denouement. What do you mean you sense sarcasm in my voice?!? I went to bed early last night while the rest of the family stayed up and watched a movie. As I lay in bed with the usual ten million things swirling through my mind, I stared out the bedroom window and watched the fireflies dance around in the air. I love fireflies! They’re a sure sign of summer and bring back so many memories of childhood. My family spends many summer nights sitting outside around our fire pit. The fireflies swarm around like crazy this time of year. Obviously since you can see them you get a pretty clear image of how many are out there. I can’t help but wonder though, what other creepy critters are flying around that you can’t see. Look near any light and you get a pretty good idea. If all the insects that are out at night had little headlights on, we’d all probably choose to stay inside. Fireflies are gentle beasts though, you can see them coming and sometimes they land on you with their little butts lit up and you feel like somehow you’ve been chosen. They’re not frightening, they’re not disgusting, they’re not creepy. Instead, somehow they are charming and loveable, like butterflies and dragonflies. I’ve had several conversations with adults recently about fireflies and the things these evil people used to do as kids, with these poor, helpless insects. One said he and his friends used to smear them around their fingers as if wearing a ring. Another said he and his friends would use them as face paint. One even went so far as to say that he would feed them to frogs and if you gave the frogs enough they would light up. I’m guessing that story was embellished a little bit. 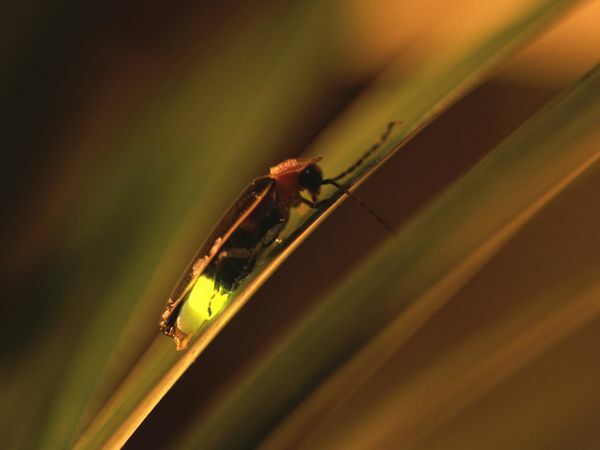 I don’t remember ever using fireflies in such cruel, horrible fashion, but then again, I’ve never been great at squashing bugs of any kind and I suspect I was the same way as a child. I do remember collecting them in containers and trying to get enough to make the container light up, but I think that was the extent of my firefly recreation. In any case, this all made me wonder how many fireflies have been sacrificed in the history of the world by little kids using them as some kind of war paint, or how many have died sealed up in jars that some kid was using as a lantern the night before. It’s a tragedy and I think PETA should be involved. Then again, it doesn’t appear there is any shortage of fireflies around. So maybe I’m overreacting. By the way, you people who call them lightning bugs, they’re not lightning bugs, they’re fireflies. There’s no lightening involved. So there. What? There’s no fire involved either? Yeah okay you’re right, there is no fire involved. So go ahead and call them whatever you want to… just stop squashing them!